Many industries have been reluctant to utilize the revolutionary technology of unmanned aircraft systems (UAS), or drones, because of cumbersome federal regulations. Fortunately, the Federal Aviation Administration (FAA) revised the rules in 2016, easing the requirements on drones used for commercial purposes. Even with continued restrictive guidelines, some surprising industries have begun adopting drone technology for various industry-specific needs and are reaping serious benefits. Fortunately, operational intelligence (OI) technology and its ability to provide unprecedented data insight can be just what the FAA needs to ensure safe flight in the U.S. airspace and just what these four industries need to take off with UAS adoption. In every insurance company, you’ll find commonplace items like computers, cell phones—and drones? Not only are inquiries increasing about insurance for drones, but insurers themselves are beginning to experiment with the new technology to make their jobs easier. Drones offer a number of advantages for insurers including damage inspections, post-disaster claim inspections and fraud monitoring. Drones have been particularly helpful in the adjustment of property claims and roof damage inspections, which are notoriously difficult and hazardous to inspect. UAS applications may just be the best prospect for the infrastructure sector. Infrastructure maintenance and inspection by drone is cheaper, safer and faster, which is why this method is becoming an increasingly important tool for American infrastructure companies. Current monitoring methods are in desperate need of updating, and much of the work can be carried out more efficiently by drone. For example, drone aerial mapping can be used to track job progress and conduct site surveys. And three-dimensional map reconstructions made with that aerial imagery can contain millions of data points, providing a degree of accuracy previously unknown in the industry. Drones are set to revolutionize the telecommunications industry. 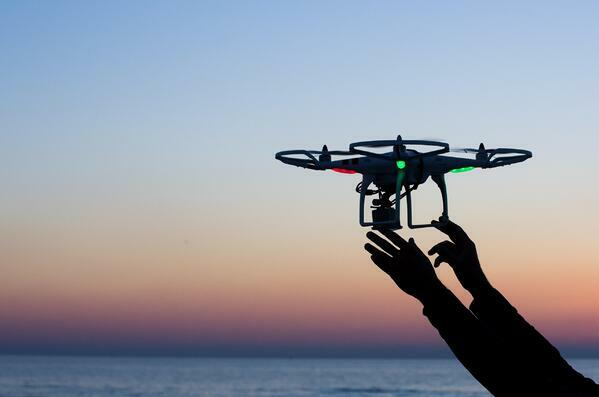 A recent PwC report identified a $6.3 billion opportunity in drones for the industry. In particular, UAS can be an essential part of network infrastructure maintenance for telecoms with many of the largest industry leaders identifying safety, speed and cost as motivating factors to add drones to their workforce. Also, drones can conduct line-of-site testing between radio towers to identify obstructions, power needs and antennae placement locations. Drones can function not only as a maintenance tool for the telecommunications industry but also as key aids in infrastructure building and network planning. Chemical firms are beginning to use drones to survey their plants from above, in hopes that drones can provide critical safety services and improved data analysis and take employees out of harm’s way. Drones are increasingly being used to sense airborne hazards and detect chemical threats. Chemical and radiation detection sensors are being attached to drones to detect toxic leaks around nuclear power plants safely. For instance, after Dow Chemical got FAA approval to fly UAS through their chemical plants in 2015, they quickly put three to work at their plants in Louisiana and Texas. Today, Dow Chemical can receive high-resolution photos and videos within hours, which has provided significant cost savings and increased worker safety since using helicopters, telescopes and manual inspections in hard-to-reach areas before 2015. When it comes to seeking out radioactive material, hazardous gases or even regular fuel leaks, flying a drone into hostile environments could be a faster and safer approach than having a team on the ground assess the situation. Major innovations in UAS technology are ensuing thanks to rapidly evolving industries. Drones are in use across industries as a more efficient, cost-effective and safer option to traditional business operations. However, many of these industries aren’t as quick to get drones up in the air because of the complicated permission process under the current FAA regulations. With Simulyze’s OI platform, UAS operators can operate safely and efficiently with real-time data insight and situational awareness that enables well-informed decisions. And not only do UAS offer cost-saving opportunities, time efficiency and increased safety, but the data gathered, images captured and post-inspection analysis is set to revolutionize the way these industries and more conduct their daily tasks. To learn more about how OI technology provides the foundation needed for UAS applications to take flight, schedule a demo with Simulyze today.